What’s Causing me to Grind my Teeth? If you experience any of these symptoms, it’s important to schedule an appointment with your dentist to see how your bruxism is affecting your oral health. 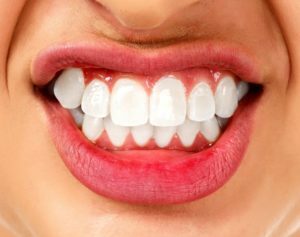 How Can Grinding Harm My Oral Health? Bruxism has many side effects and can not only keep you from sleeping properly, but can also have drastic effects on your oral health. In the most severe cases, teeth grinding can result in loosening and fracturing your teeth, causing you to need serious dental work such as root canals, implants and even partial dentures. Additionally, tooth grinding can cause TMD, or temporomandibular joint disorder which can limit and disrupt the movement of your jaw. In serious cases, it can change the appearance of your face and affect your speech and your ability to chew. How Can I Stop Teeth Grinding? It’s important to maintain good oral health and protect your smile with preventive techniques like daily brushing and flossing as well as regular checkups. If you feel you’re experiencing side effects of grinding, ask your dentist and see if they can offer a diagnosis and help protect you from bruxism by creating a custom-fitted nightguard for your teeth. To save yourself from all the long-term dental troubles, a custom nightguard could be your solution. The mouthguard is created from a thermoplastic molded from an impression of your mouth and teeth. They’re highly customized since your dentist fits each of your teeth. The level of thickness can also be adjusted depending on the severity of your bruxism. These nightguards offer your teeth complete protection and offer your mouth the level of defense that over-the-counter products aren’t able to. The guards are durable and don’t shift in shape. Depending on how hard you clench and grind, you may need to replace your nightguard every few years. While scheduling your semi-annual checkups and cleanings, make sure to ask your dentist about measures you can take to protect your teeth. Make sure to bring your nightguard to each visit if you already have one. Alleviate your jaw and neck tension and wake up feeling relaxed again. The family tradition of providing oral healthcare to the community of Columbia doesn’t fall short for Dr. Philip Batson. As a member of the American Dental Association, Dr. Batson offers you treatments ranging from simple preventive checkups to sleep apnea solutions. For any questions or to schedule an appointment, visit Columbia Healthy Smiles’ website or call 573-875-7071.